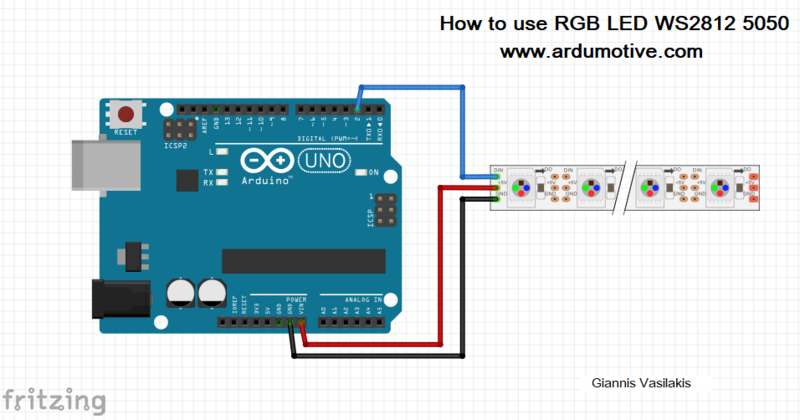 In this tutorial you will learn how to use the RGB LED WS2812 5050 with the Arduino UNO board. 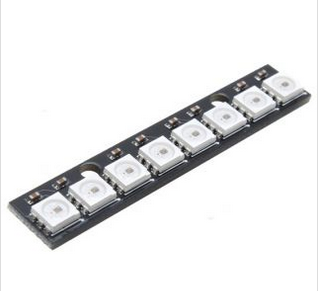 This LED Stick is a small chainable board with eight 5050 WS2812 RGB LEDs. The WS2812s are each addressable as the driver chip is located inside the LED. 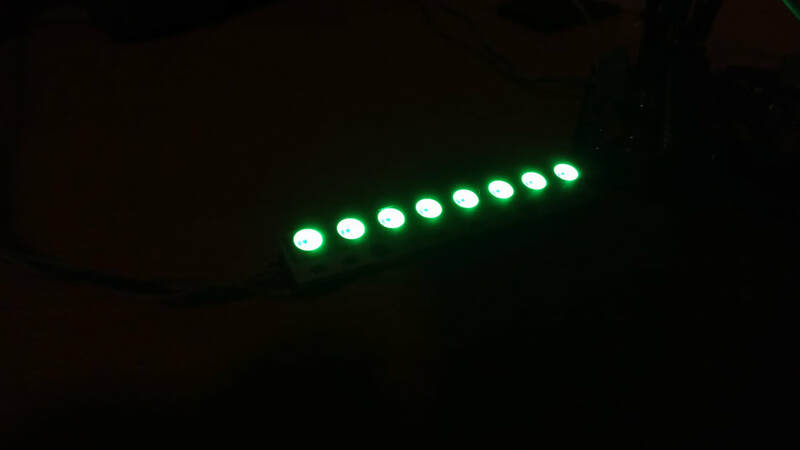 Each LED Stick has ~18mA constant current drive so the color will be very consistent even if the voltage varies, and requires 5V. pixels.setPixelColor(i, pixels.Color(0,100,0)); // Moderately bright green color. 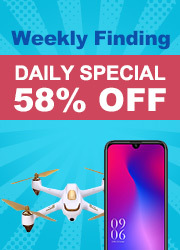 Download the code from here and open it with Arduino IDE. Inside you will also find and the library. 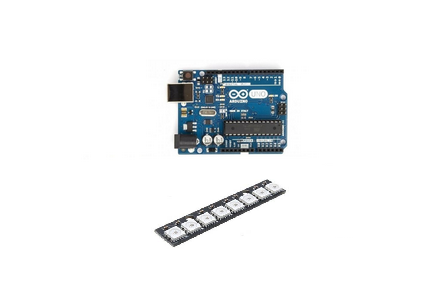 You have successfully completed one more Arduino "How to" tutorial. I hope you liked this, let me know in the comments.